Planning a culinary adventure in Charleston? Here’s an itinerary from Charleston Culinary Tours to chew on! Morning – Chefs’ Kitchen Tour – Start your trip off by visiting the kitchens and meeting the chefs in some of Charleston’s top restaurants. On this five stop tour your guide, Hoon Calhoun, will educate you on Charleston’s culinary history and orient you with regard to Charleston’s best restaurants today. The tour starts with coffee and doughnuts at Glazed, Charleston’s gourmet, homemade, delicious, I-can’t-believe-this-is-in-a-doughnut shop, and proceeds to visit two restaurant kitchens, 1 amazing biscuit shop in the form of Callie’s Hot Little Biscuit, and finishes at Southern stalwart, Virginia’s on King for some southern staples and storytelling! Lunch – Dine at Two Boroughs Larder — Josh and Heather Keeler’s Two Boroughs Larder is where Charleston chefs go to eat. Charleston’s celebrity Chef Sean Brock has called Two Boroughs Larder the best restaurant in Charleston. Go judge for yourself and order everything on the menu to be sure. This is the place to take chances as you probably won’t recognize half of the ingredients on the menu but trust in Josh’s capable hands and discriminating taste. Everything will be delicious and some dishes will be transcendent. In between courses, take a moment to explore the selection of hard goods and specialty products available for purchase. Afternoon – Pastries and coffee — After lunch, exiting Two Boroughs, you’ll find yourself smack dab in the middle of what is emerging as Charleston’s pastry epicenter. Stroll to Sugar Bakeshop and have the first of many delicious pastries, choosing one or two of a variety of cupcakes or cookies. The selection varies daily, but on Thursdays the options include the Lady Baltimore Cupcake, which should not be missed! Sugar Bakeshop’s owners Bill and Dave are architects from New York City who relocated to Charleston where their visual aesthetic is apparent as everything in the display cases is as beautiful as it is delicious. Enjoy your treat in Sugar’s quaint courtyard. From Sugar, consider visiting Wildflour Pastry or Brown’s Court Bakery for another delicious treat and a cup of coffee. All are within a block or so of Sugar and along the way you can explore the rapidly gentrifying Cannonborough/Elliotborough neighborhood. Dinner – Burwell’s – After a nap, try out Burwell’s. Billed as a “modern steakhouse”, Burwell’s strikes a delicate balance between old and new in downtown Charleston. The restaurant is a beautiful combination of two beautifully restored and repurposed buildings. The ambiance is warm and sophisticated, with a cosmopolitan tilt that is more commonly found on Upper King Street. The food is just as sophisticated and Chef Jordan Moore does a terrific job of expressing his creativity within the confines of his restaurant’s steakhouse paradigm, not to mention Pastry Chef Mark Heywood-Washington whimsical and delicious desserts. After Dinner – Head on over to The Gin Joint for an after dinner drink. You’ll be stunned by their attention to detail and the inventive drinks they concoct. If cocktails not your thing, no problem. Try the Craftsman Kitchen and Tap House, a beer emporium featuring 48 beers on Tap! Still not satisfied? Give Social Wine Bar a try as it features up to 60 wines by the glass and a 4,000 bottle display cellar. 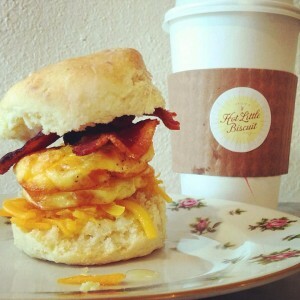 Morning – Callie’s Hot Little Biscuit – You’re in Charleston on a culinary vacation, so why not? This adorable 8 foot wide (yes, really, it’s 8 feet wide) makes fresh, melt-in-your-mouth biscuits that, combined with their French-press coffee, are a perfect way to start your day. The Ham Biscuit is a classic (featured on the Today Show and QVC), but several sweet varieties are available as well. There are a few seats near the front of the shop, which is a good place to enjoy your biscuits and watch the crowds flock in to get these little bites of heaven. Lunch – After exploring Upper King Street’s shops, have an early lunch at Artisan Meat Share (AMS) whish is Craig Deihl’s love letter to meat. The concept for AMS grew out of cured meat CSA that Chef Deihl launched at Cypress, his other restaurant, in 2009. Now, instead of meats being available only on a limited, seasonal, basis, the smorgasbord of award winning meats is now available daily (as well as gourmet sandwiches, fresh butcher shop products and house made condiments). Think juicy Porchetta with pork cracklins, Pastrami piled high, house made Braunschweiger! To satisfy your meat cravings later, feel free to take one of the dozens of meats which are cooked, cured, smoked or otherwise prepared in house home for later consumption. 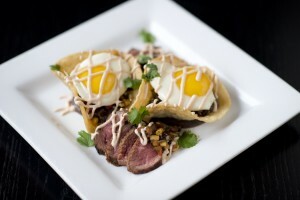 Afternoon – It’s time to take an Upper King Street Culinary Tour with Charleston Culinary Tours. This 2.5 hour tour explores Charleston’s Upper King Street district, which is quickly becoming the city’s gastronomic hub. Stopping at three restaurants for food samples and one restaurant for dessert, the Upper King Street Culinary tour will introduce you to some of Charleston’s best restaurants and educate you with regard to the lowcountry’s rich culinary history and current cooking trends. There is plenty of food on this tour, so pace yourself as you eat your way around this rapidly evolving foodie destination. Dinner – In The Kitchen with Bob Waggoner. Join Chef Bob in his downtown Charleston showcase kitchen, where you will cook and laugh alongside him to prepare and enjoy a seasonal tasting menu inspired by the many farmers, fisherman, and artisans of the Lowcountry. Whatever your experience level, in these cooking classes Chef Bob will teach you the tips and techniques to help you build your confidence in the kitchen. There will be no pressure, no recipes, or even dishes to wash at the end of the night! Just a fun and truly unique dinner party experience with every detail carefully crafted by Chef Bob himself. Brunch – Prohibition – Chef Stephen Thompson’s weekend brunches might be the most popular in Charleston, and with good reason! Chef Thompson has distinguished himself as being a genius in simply making food taste good. His menus are both inventive and delicious, and the friendly bartenders at Prohibition have no problem recreating the hair-of-the-dog-that-bit-you in order to aid in your speedy next day recovery. Chef Thompson’s duck hash has essentially achieved legendary status among the College of Charleston crowd as he will make you consider rabbit in an entirely new and favorable light while his Blueberry Baskets are irresistibly delicious. Insider tip – to heighten your post-meal sense of awe, stroll back to see Prohibition’s tiny kitchen, which is probably smaller than your home kitchen, and consider how so many meals are prepared so efficiently in such a small space! Afternoon – Charleston Distillery Tour –Long stymied by antiquated state laws, local distilleries are now starting to produce spirits in the Holy City and are doing so with the same energy, enthusiasm and passion that has already established Charleston as a internationally recognized culinary destination. Experience a taste of Charleston’s flourishing micro-distillery scene with an exclusive tour of the local distilleries. This 3.5 hour tour will introduce you to three distilleries and includes a cocktail at a local bar using one of Charleston’s locally produced spirits. Pre-Dinner – Continuing your exploration of alcohol in the Holy City, Charleston Culinary Tours’ Mixology Tour will help you better understand the state of Charleston’s cocktail culture today. This 1.5 hour tour stops at three local watering holes where guests meet a mixologist who will explain his or her specialty cocktail and then mix one for everyone to enjoy! Think of it as a mobile pre-dinner cocktail party. Dinner – FIG –All things considered, FIG is probably the best restaurant in Charleston, and has been for some time. FIG sets the standard to which all other Charleston restaurants aspire. 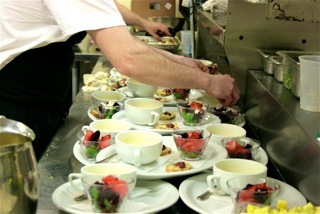 It’s where chefs come to eat to marvel at the elegance, the precision, the creativity and the simplicity of the dishes. Mike Lata is a chef’s chef, cerebral and precise, but his food is delicious, in keeping with the restaurant’s name and overarching theme, Food Is Good (FIG). Chef Lata doesn’t compromise on ingredients, insisting on the best the lowcountry has to offer, and the quality of ingredients is allowed to shine through in each dish. Likewise, FIG doesn’t compromise on service, and its corps of bright and highly trained wait staff consistently provides impeccable service, again setting the standard in Charleston. FIG consistently strikes a balance so well considered, so perfect and subtle that many details aren’t noticed by guests, but none are forgotten. While FIG is sophisticated, it isn’t flashy. While it is delicious, it isn’t indulgent. While it is attentive, it isn’t overbearing. FIG isn’t many things, but it is the best. After Dinner –Kaminsky’s — Finish off your night with a dessert at Kaminsky’s, a bustling dessert shop on Market Street. With a display case overflowing with almost impossibly delicious looking cakes and pies, it may be tough to make a decision. Hedge your bets and choose more than one item as it’ll be the most delicious insurance policy you ever bought.